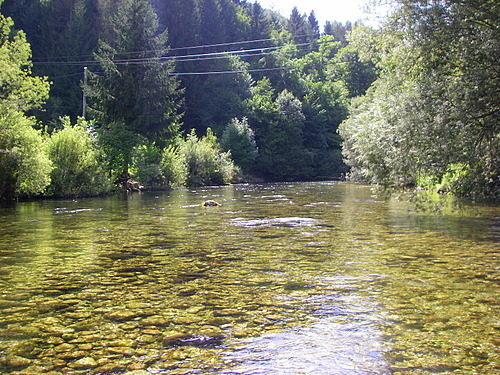 If you are looking a peaceful river with such beautiful surroundings you should go to Radovna river. 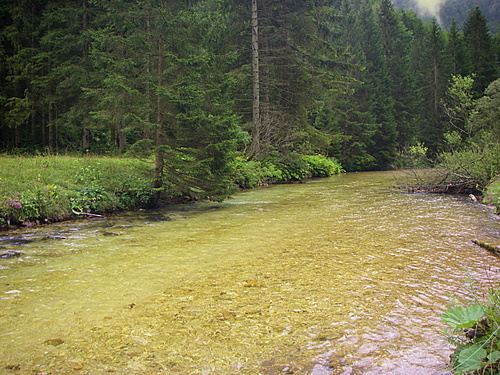 This small river is situated in north-western part of Slovenia a few kilometers from lake Bled. 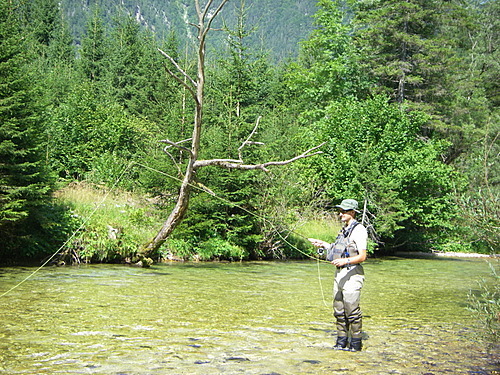 A big part of this river lies in Triglav national park in a small but long Radovna valley. It could be divided in two parts. 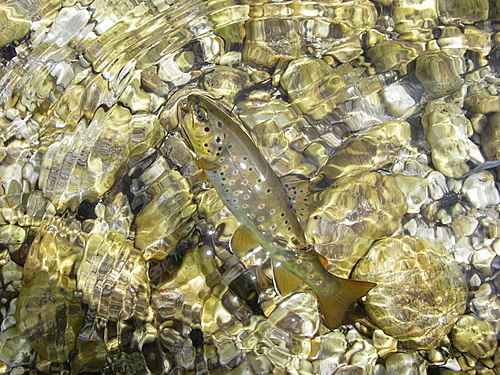 The upper part represents dreams come true of each fly fisherman. 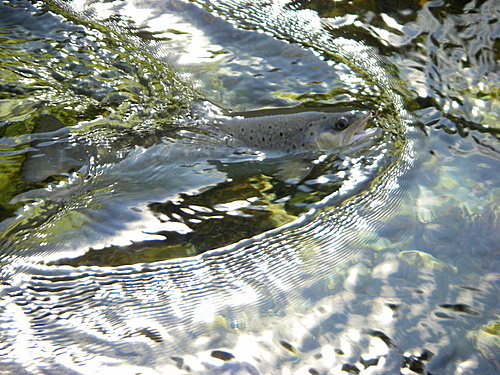 It is 100% natural, with no human intrusion. 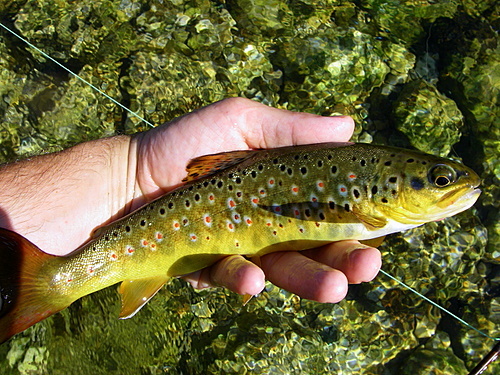 Populated only with native brown trout,relaxation this part is absolute brain relaxation. 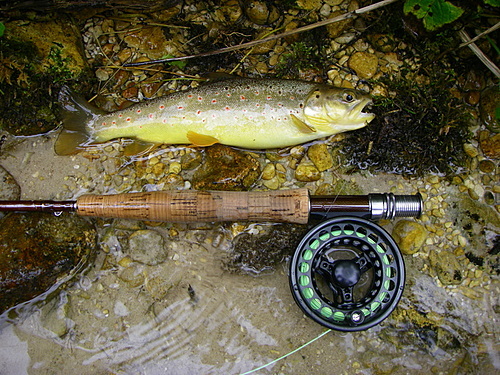 Here you can practice all day dry-fly fishing with great results. 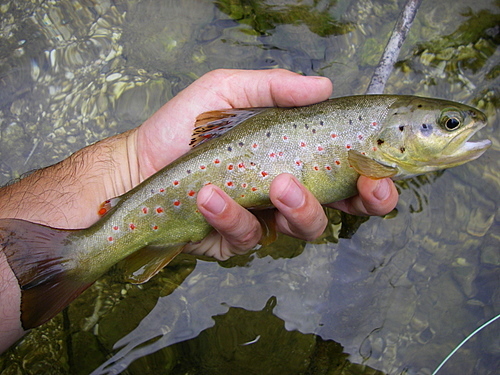 Because of the lower food production of the river, fishes are smaller but in large number. 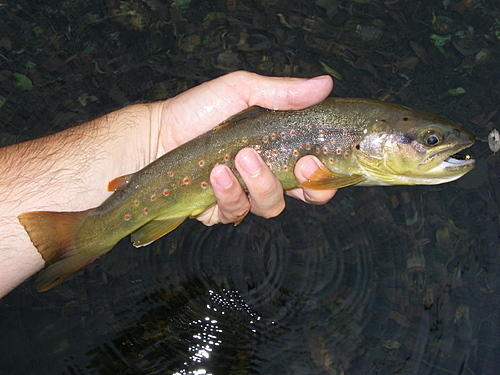 The lower part is more influenced by humans (some small dams), but still very attractive to fish on it. The river conclude its journey in a spectacular canyon. If you want to fish in astonishing surroundings and completely forget all thoughts, this little paradise is waiting for you.